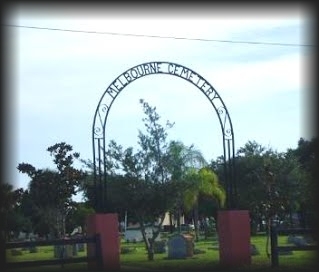 The Melbourne Cemetery or City of Melbourne Cemetery is a cemetery in Melbourne, Florida, United States. The cemetery includes graves of original settlers of Melbourne, to include Cornthwaite John Hector who founded the city. Although formally organized as a cemetery in 1891, native Americans purportedly used the site as a burial grounds for many years before. Over the years, many retire or move to Florida. 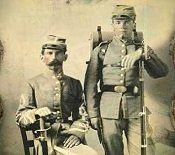 The book and a supplement contains actual tombstone transcriptions up to 1995, copied by local genealogists, with accompanying maps of the cemetery grounds. Volunteer members of GSSB painstakingly collected, compiled, typed and checked this material to ensure accuracy. This book and a supplement are available for $25.00, plus shipping and handling.